For the first time in the industry, the RealBird Property Search allows you to provide your clients with access to listings nationwide with full USA coverage. You can service your local buyers and refer out-of-area leads to other agents. The service is private labeled for you: all inquiries and leads are forwarded to you and you have full control over what to refer out and which propsect to handle yourself. Customize the header text and add any number of sidebar modules with your own content. 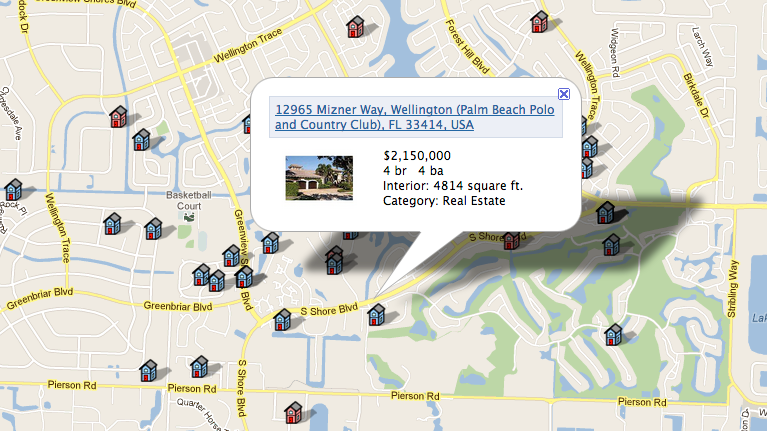 You can add your featured listings, slideshows, Twitter updates, blog feed or any other 3rd party service. You can set up unlimited property search widgets for any preset search criteria. Create preconfigured neighborhood searches for your blog's and website's neighborhood pages or create niche searches for your vertical markets. With the powerful keyword filtering option of the search engine, you can set up for example searches for "ocean view luxury condos", "3 million dollars+ homes" or even one for current "gas stations for sale" listings, should that be your niche market. You can also create and share custom searches with your existing clients. Use the search configuration tool in the member area to create these custom search engines and to generate the permalinks and widget codes for them. It's quick, powerful and fun. The RealBird Property Search listing data is sourced from Oodle.com which collects listing information from all major syndication sources. Your RealBird single property websites are also syndicated to Oodle, therefore your listings on RealBird will not only be promoted via your own RealBird searches engine, but also on fellow RealBird members' websites as well, hence creating a unique data exchange similar to IDX solutions.